I like the look and simplicity of the app. A question though…I’m planning to get a new phone. And I’ve “backed up” My Ministry from my current phone to dropbox. How do I make sure the data from my current phone gets onto my new phone? If you restore from an ios backup your data will be there. If not then ensuring your backup is current is important. The backup is to a point in time so you want to make sure you back up your data after your last update so it will be current. When you install my ministry on a new iPhone or iPad connect it to your dropbox account and then Click the restore button (make sure you don’t hit backup from the empty app or you’ll overwrite your backup). All your data should load that way. I’ve done that to put my time on my iPad for safe keeping. 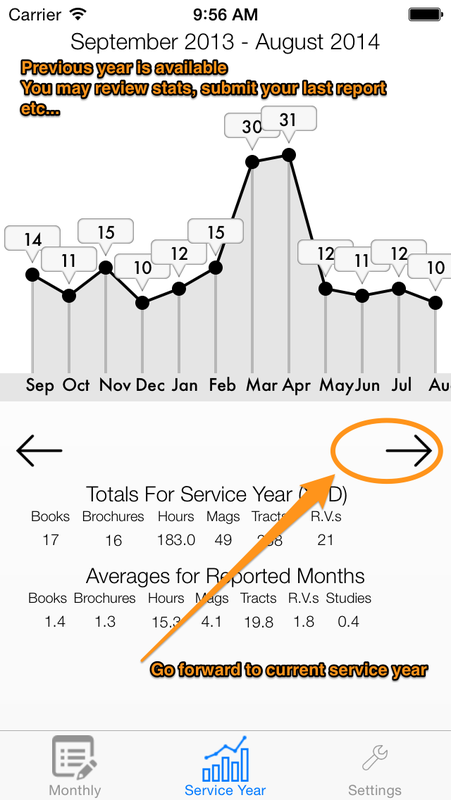 Some are still having issues with service years. The previous year can be accessed on a summary scale as discussed above. But I would like to get into each month to review comments I made. I am having difficulty accessing this data. Please assist. It will not let me see anything except the hours for august. Where’s everything else? You need to scroll to a month and select a day in the month and its all there. Hope that helps. You can’t scroll to month and day. Your tutorial doesn’t work. My august data is gone. Well great. I’m going back to paper. 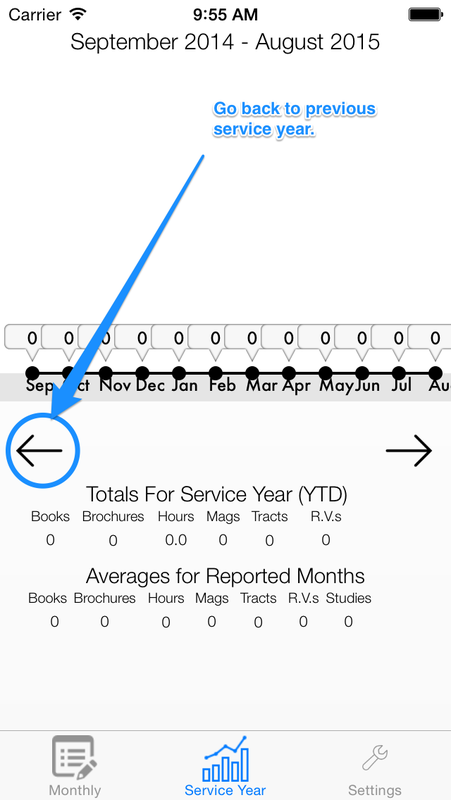 Did you go to the service year tab and press the previous service year arrow and then go to the calendar and scroll where you want to go? That’s how you get to other service years. I have tried. It only shows September. That’s how you get to other service years. 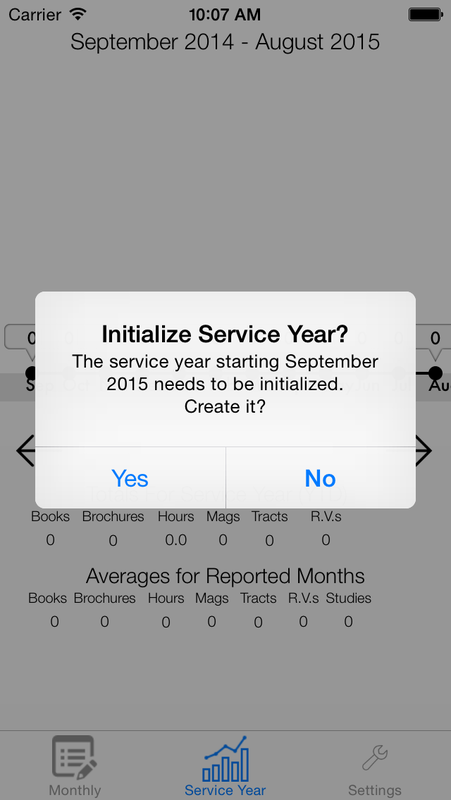 Other service years start I’m September so you need to scroll forward to August. Check out the video I posted. For everyone to see, thank you for helping me get my data back! Thought it was gone forever! 👍😊 I’m a happy app camper!